Mountain Bikers seeking value accommodation near to exciting mountain bike trails will find a great selection on offer from the Independent Hostels UK network (IHUK) of over 300 houses, cottages, camping barns and bunkhouses, many of which have overnight bike storage. They generally provide self-catering facilities and are suitable for singles, couples and groups seeking friendly, clean and inexpensive accommodation without membership requirements; prices start from £8 per night. Amongst those with bike storage is DALES BIKE CENTRE in the Yorkshire Dales near Fremington, which is right on the challenging Woodcocks off-road, coast-to-coast mountain bike trail. Providing an ideal base for exploring the Yorkshire Dales, the four-star graded hostel has a cafe and bike shop plus bike hire, workshop and secure storage facilities; from £24 per night for bunk bed and breakfast. Exmoor National Park also offers some great mountain biking trails with stunning descents, wide open spaces and tricky single-track routes. Riders can take advantage of a lock-up shed and guided outings on offer from the BASE LODGE hostel in Minehead; prices from £15 per night. 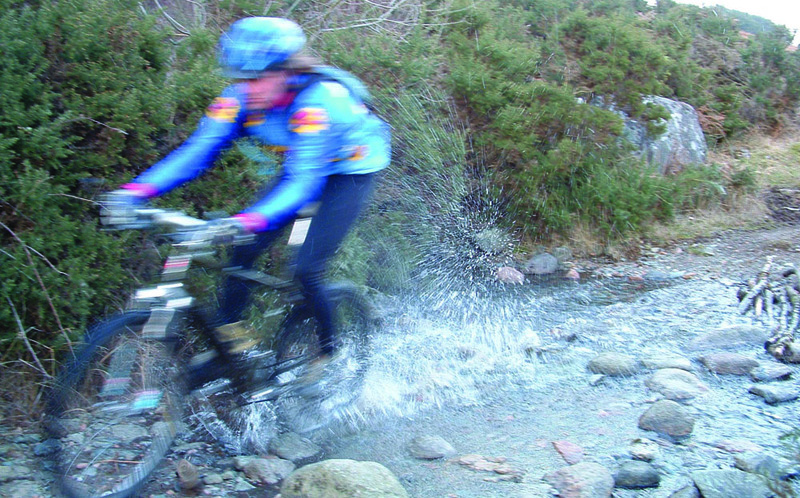 Wales is well served by the IHUK network with 65 hostels and bunkhouses in Wales from which to choose, several in great mountain biking areas. Those with bike storage start from £12 per night and include GILFACH WEN BARN, adjacent to the Brechfa Forest, and Corris Hostel near Machynlleth which has the Dyfi Forest mountain bike trails on its doorstep. 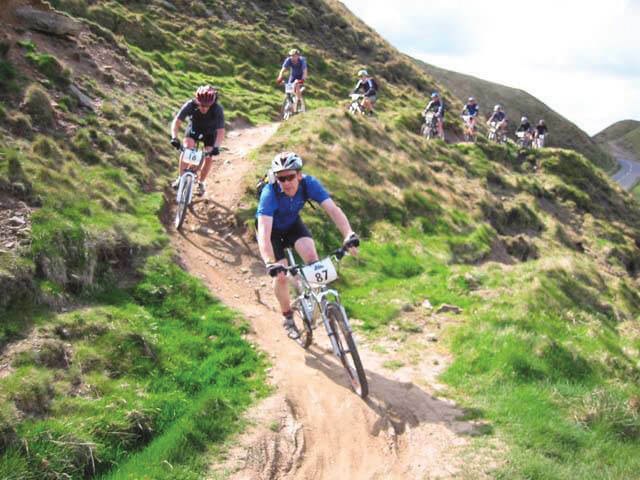 In Scotland the COMRIE CROFT hostel in Perthshire has its own 230 acre estate offering mountain bike trails; it offers a great value escape amongst the Scottish Hills from just £7.50 per night for under 16s and £15 for adults, under 5’s can stay for free. The GREAT GLEN HOSTEL nestles between mountains and lochs ten miles south of Loch Ness and has safe storage and accommodation from £14.50 per night.